What do you feel when you see your smile in the mirror? Does it give you the confidence to face the day, or can you only notice the flaws? Everyone deserves to have a beautiful smile that enables them to live their life to the fullest, and if yours needs a little help, Canal Side Family Dental is ready to provide it in the form of cosmetic dentistry. Stains, chips, cracks, and gaps can all be made to disappear in just one or two appointments thanks to the services listed below, creating beautiful and long-lasting results. What would you like to change about your smile? We can make it happen, and you can get started by giving us a call today. Why Choose Canal Side for Cosmetic Dentistry? If you’ve ever turned on the TV or watched a movie, then you’ve likely seen porcelain veneers. These extremely thin ceramic coverings are designed to look like flawless white enamel and fit seamlessly over the teeth, and they’re the secret behind many of Hollywood’s most gorgeous smiles. You can now get the same treatment right here in Buzzards Bay to fix stained, chipped, cracked, gapped, or slightly crooked teeth in just two simple appointments. They are always custom-made, so you can change as little as one tooth or completely transform your smile. In the past, if a patient needed to have one of their front teeth repaired, their only option was a darkly-colored dental restoration that would instantly stick out in the smile. Thankfully, we’re no longer living in the past, and strong, lifelike materials are readily available for such a task. Now, our team can create crowns and bridges using 100% dental porcelain, a material that is able to mimic real enamel so well, it even reflects light in the same way. With it, we can repair a tooth in such a way that it looks like a dental problem never existed. Direct bonding gives our team the ability to literally sculpt a problem tooth to perfection, eliminating minor stains, chips, and gaps in the process. 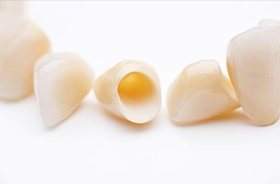 A naturally-colored composite resin material is applied directly to any damaged or missing enamel, and then it is shaped to look like a regular part of the tooth. The entire procedure only takes about an hour, is completely painless, and the results can be trusted to last for 10 years or more. It’s very common for the teeth to lose their luster as the years go by, whether it be due to coffee, wine, tobacco, or natural aging. If you’re wanting to restore that youthful glow to your smile, we can help you do exactly that with our ZOOM! 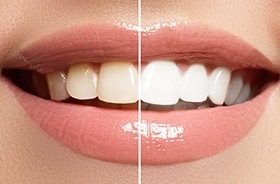 teeth whitening treatments. With our in-office treatment, we can make stubborn stains disappear in just an hour or less. Or, if you want something more gradual, we can send you home with your own custom-made whitening kit so you can effectively brighten your teeth whenever and wherever you want. Regardless of which one you choose, the end result will be the same: a smile that is 6-8 shades whiter! Do you have an overbearing gum line that causes your teeth to look short or stubby? This is a very common issue and one we can fix in just one appointment using our soft tissue laser. With it, we can quickly and painlessly remove excess gum tissue to reveal previously hidden dental structure, making the teeth instantly appear longer. Then, we can shape your new gum line along your teeth to give your smile the perfect frame. Sometimes, exploring your various cosmetic options can feel overwhelming. Thankfully, our dentists are always happy to lend a helping hand. After an initial consultation, we can provide personalized recommendations for certain services and arrange them into a comprehensive smile makeover plan that results in your ideal look. This comprehensive approach can often be ideal because it allows us to maximize the effectiveness of your appointments and plan out the treatment process in a way that’s affordable and stress-free. 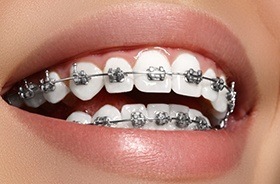 If you’re feeling frustrated with noticeable smile gaps or misaligned teeth, orthodontic treatment is available for both children and adults at Canal Side Family Dental! 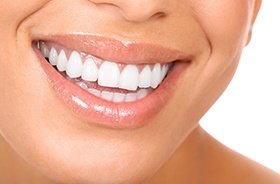 This type of treatment can have benefits that go far beyond just the cosmetic angle, though – straighter, more uniform teeth can also improve your bite function and even make it easier to brush and floss effectively at home.